The Rough Draft Barrel Room offers a unique setting within our production brewery. 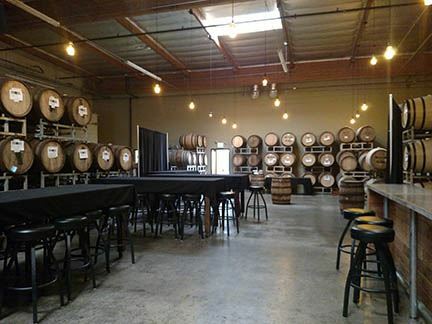 The space is defined with bourbon, pinot noir and chardonnay barrels full of delicious aging beer. Guests will enter through a private door to The Barrel Room which offers a bar, private bathrooms and seating for your guests. We offer an extensive catering menu and serve a variety of beer and wine.